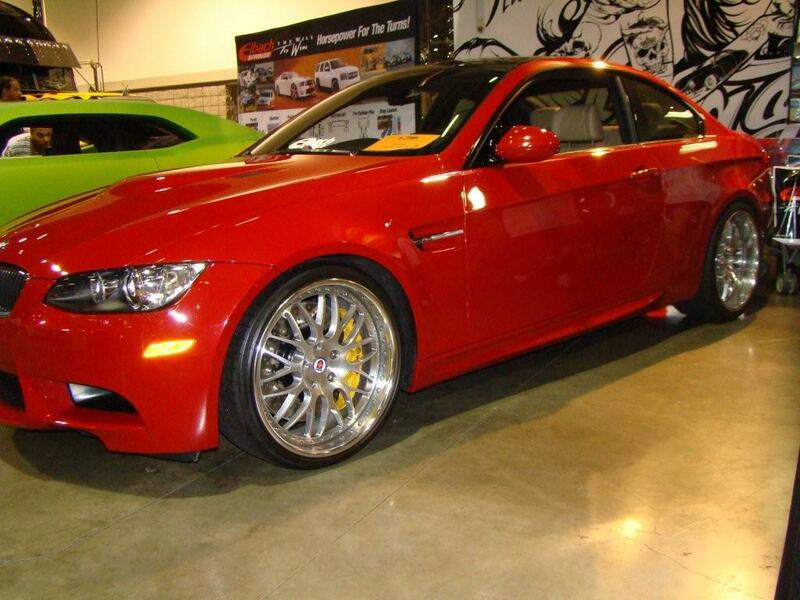 Shortly after my car purchase, I spotted an ad on M3Post asking for a development car for the Eibach Pro Kit for the E92 BMW M3. 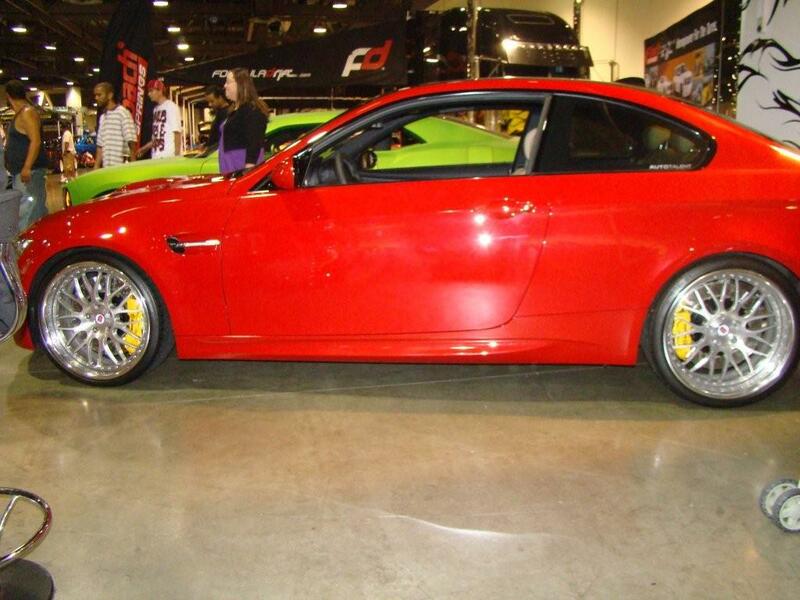 The requirements were simple: bright color car, already owns wheels/tires, and preferably in Southern California. I submitted pictures of my car and within 30 minutes got a call from Eric Dickerson @ Eibach. He wanted my car! Eibach was real good to me. They gave used my car for development, and gave me the kit for free. 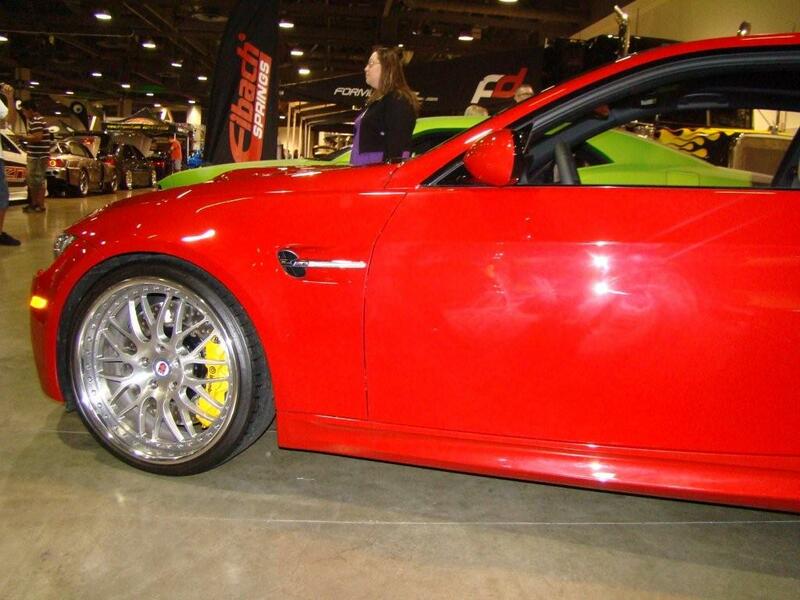 Then they took my car to shows in Long Beach, SEMA in Las Vegas, and another show in San Diego. 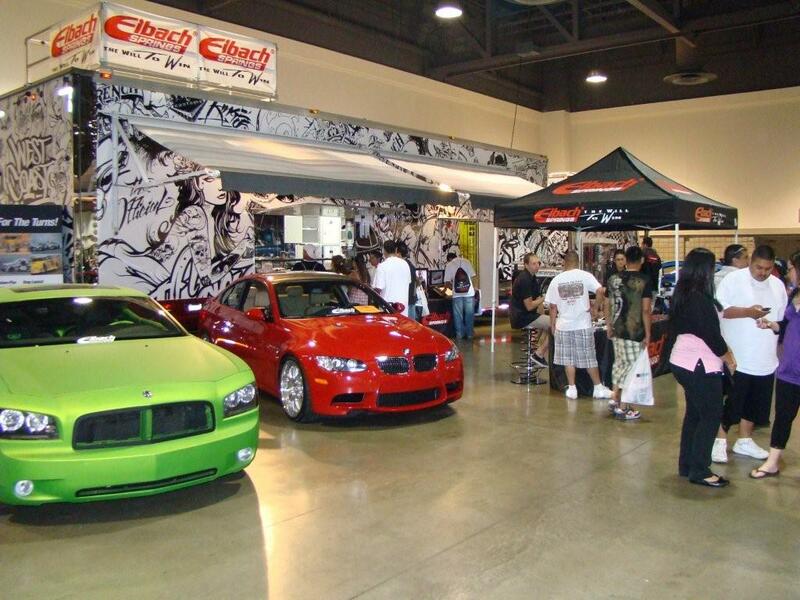 It was great exposure for Eibach and my car. These photos are taken from the very first public appearance of my car with the Eibach Pro Kit. These pictures were taken at a car show in Long Beach California in June 2008. This page contains a single entry by PencilGeek published on June 22, 2008 1:57 PM. 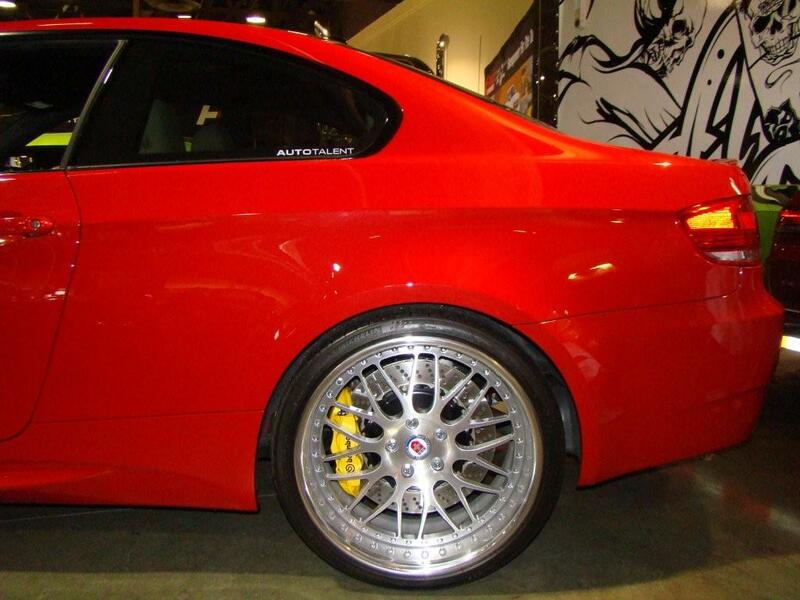 My decision to replace the HRE 540R's with HRE P40's was the previous entry in this blog. 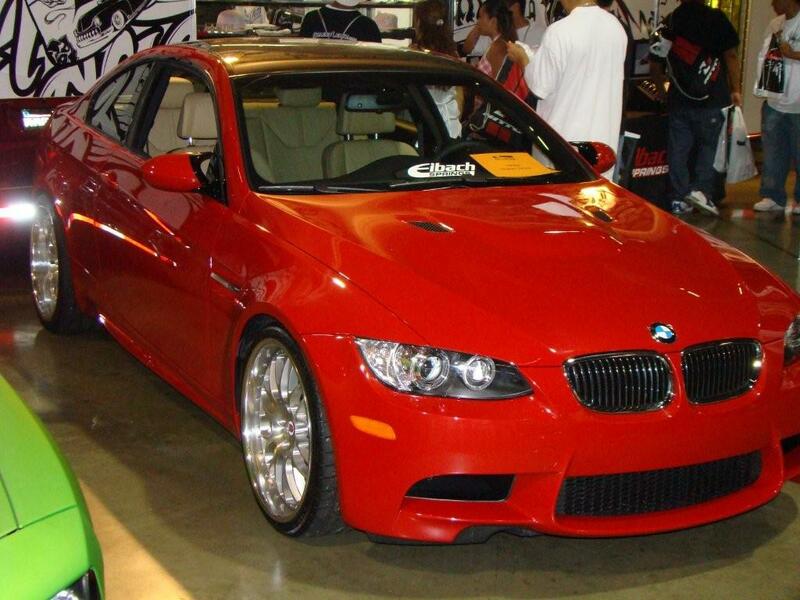 BMW Performance Steering Wheel Installation Guide is the next entry in this blog.